With glowing endorsements from the likes of Quincy Jones, The New Yorker and NPR, Los Angeles-based Katie Thiroux has clearly established herself as one of the most exciting and in demand musicians today. Her unique gift of simultaneously balancing sultry vocals and virtuosic bass playing leaves audiences worldwide in awe. Her most recent album “Off Beat” on Capri Records collected rave reviews and made Downbeat magazine’s list of Best Albums of 2017. Following her prodigious beginnings on bass at the age of 8 and studies under renowned vocalist Tierney Sutton at the age of 12, Thiroux was mentored by the legendary bassist John Clayton and was awarded a scholarship to the Berklee College of Music while gaining experience on the bandstand with artists including Terell Stafford, Terri Lyne Carrington, Branford Marsalis, Larry Fuller, Jeff Clayton, Patti Austin, Geri Allen, Helen Sung, Charles McPherson, and dozens of others. She was a finalist in the 2015 Thelonious Monk International Vocals Competition, and her debut release as a bandleader from the same year “Introducing Katie Thiroux” received accolades from All About Jazz, the Huffington Post, the Jazz Journalists Association, and NPR Jazz, who listed the release among their Top 5 Debut Records of the Year. 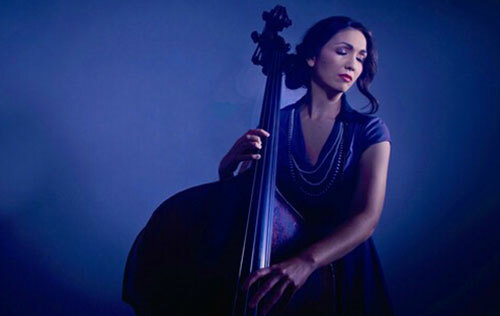 She was also named a “Rising Star” bassist in the 2018 Downbeat Critics Poll. Lending contemporary flair to mainstream stylings, Thiroux carries on the hard swinging tradition of such bass masters as Ray Brown and John Clayton, while channeling the buoyant vocal finesse of iconic singers including Anita O’Day, Chet Baker and Ella Fitzgerald. Thiroux offers in-the-moment jazz that draws upon the rich history of the music, from swing to bebop and beyond. For this date, Thiroux will be joined by her excellent working trio including drummer Matt Witek and pianist Glenn Zaleski.